Faith and Creation are our motto. 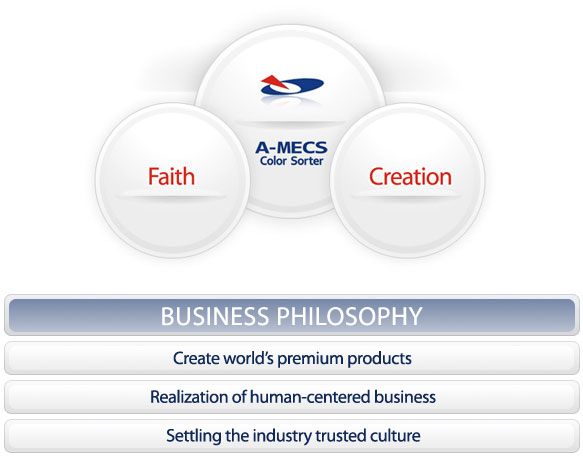 A-MECS cooperates with agents and customers on a basis of reliability keeping long term relationship. All people in A-MECS are trying to be creative so they can support customers well and develop new sorting solutions for customer’s requirements.